Welcome to Futurecottage.com, the real estate website of Susanne James and Andy Mosher. We're a husband-and-wife real estate team with Century 21 Granite Realty Group in Haliburton, Ontario. 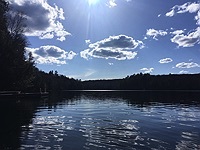 If you're looking for cottages for sale in Haliburton  or for more information about cottaging in the Haliburton Highlands  our Web site is a great place to start. Here, you'll find all of our current Haliburton real estate listings, plus an interactive map of Haliburton, useful links, downloadable forms, and helpful tips for cottage buyers and sellers. For all the latest information on the Haliburton real estate market – including quarterly sales statistics – visit our stats page. SOLD! - Miskwabi Lake - 3BR Viceroy-style cottage with West exposure, nicely level lot. SOLD! 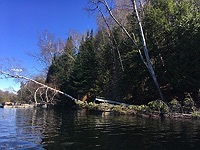 - Negaunee Lake - 3BR cottage on peaceful Negaunee Lake - level point lot, nice shoreline. SOLD! - Miskwabi Lake - Post and beam cottage or home on prestigious Miskwabi Lake North Shore. SOLD! - Haliburton Village - 3 bedroom home on large lot right in the heart of the Village. SOLD! - Miskwabi Lake - Great 3-bedroom family cottage on 2-lake chain, deep clean shoreline and big lake view. SOLD! 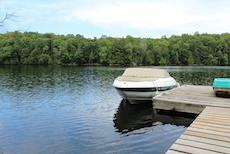 - Miskwabi Lake - 3 BR cottage with deeded access to Miskwabi Lake. SOLD! - Miskwabi Lake - 3-bedroom year-round home with deeded access to lake. SOLD! 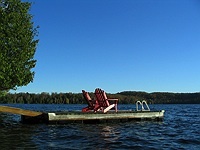 - Long Lake - Charming 3-season cottage on 2-lake chain.